South African television is polyglottic. Characters in ‘soapies’, puppets on Sesame Street and even newsreaders skip fluently between the country’s eleven official languages, sometimes in the middle of sentences. To an outsider the effect is jarring, but for South Africans it’s necessary; an assertion of their very complex post-apartheid nationhood. In 1996, the African National Congress set up the Truth and Reconciliation Commission, founded on the principles of absolute honesty and absolute culpability. Anyone could come and seek justice for atrocities committed under apartheid; anyone could plead for amnesty as long as they made a full confession of their actions; and everyone in the country had to be able to understand what they said. Truth in Translation, a major new verbatim play devised and directed by Hollywood ex-pat Michael Lessac with music by South African composer Hugh Masekela, has been sculpted from the stories of the TRC’s translators; young language graduates, often in their first jobs, who were hired to interpret every account into each of the 11 languages. 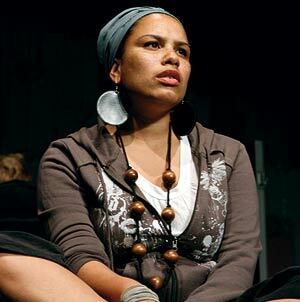 Assembly@Assembly Hall, 0131 623 3030, 4–27 Aug (not 13, 20), 2pm, £15–£17.50 (£13–£15). Previews 2 & 3 Aug, £5. Major new piece of verbatim theatre about the post-apartheid Truth and Reconciliation Commission in South Africa. 'Part of the Edinburgh Festival Fringe 2007'.